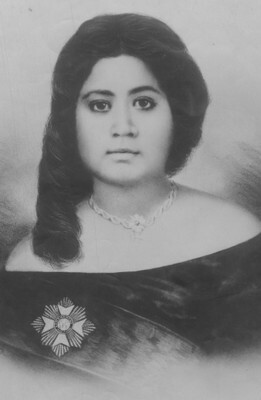 As Kuhina Nui, Victoria Kamāmalu presided over the King’s Privy Council. Perhaps her most important contribution as Kuhina Nui was to proclaim her brother Lot Kamehameha the rightful successor to Kamehameha IV when the latter died unexpectedly in 1863. As Kamehameha IV had not named an heir, and his young son predeceased him, without her action, Lot’s ascent to the throne may have been in jeopardy. 1854, Dec.14 – Kamehameha III dies, Alexander Liholiho ascends throne as Kamehameha IV.